The course content is well structured and chosen content, plan to use this in customer response handling. Very Good, program and was good, May be few more interesting topics shall be included. Plan to use this in call reduction and process simplification. Good Made it easy to understand. Started with basics and to more, plan to use this in day to day process which is followed in the service delivery, were, more of them are repeated task. Good Course, More examples can be really helpful good job from the trainer. Also every day individual process can be given about the time of going home and next day it can be discussed with the trainer it will be helpful to check understanding the course Suggestion : concepts which was discussed and the steps, will try to co-relate in the operation. Will also analyze on the process how effectively and by mitigating it. Very Good and suggest to add on Banking – Home loan & customer areas as well. The course is well structured and well organized and covers the objective of the training. 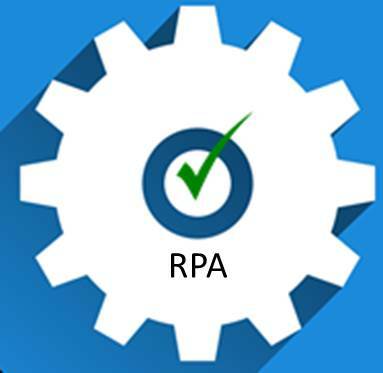 Instructor Mr. vinodh has explained RPA very well which gives us opportunity to try our carrier in RPA Suggestion : Still finding the opportunities in RPA and I am open for any location and any company. Very Good sessions from Qualimations. The course is well conducted and covered. should first understand Lean and then plan to use in any of my current work area if possible. This systematic approach to problem solving will support knowledge consolidation and help in achieving the Goals. The approach to the customer will certainly change after this course. It just changes the way you think. The course is good and its given more ideas, it certainly makes lots of process easy. Prasanth. T.M, CTO, Suvan Technologies Ltd.
Good, Clear in objective with very nice presentation. Suggest to add more software applications examples. Over all a good course, the strength of the course is the Quality function deployment and Failure mode Effect Analysis. Could improve on overall flow and link each tool with each step of DMAIC. This course helped me in knowing several issues and how to handle them. This shall certainly be used for problem solving and for requirement gathering using the Quality function deployment. For me , it is a good eye opener on six sigma, Good Course Material, Class is mixed up with practical scenario which makes it more interesting. I am taking care of DC, Release, CR Revocation and change management, in which I have planned to apply six sigma in Change Management, because TCS doesn't have good SLA in Change management. Excellent. Trainers clearly explained everything. Cleared all the doubts. Definitely worth.Going to apply six sigma for the following: Quality improvement for creative team..Effective resource planning. Big improvement i the way i think about a process and Quality. Good program and excellent training material. The way the trainer has chalked out the contents and training methodology is immaculate. Excellent content. The course made me to understand the importance of quality for a company internally and externally, understood the complete process and implementation techniques. Excellent training, clean and clear, completely satisfied with the session. Plan to implement in MICA Refund process first in our company. Well, After? the course I learned 6 sigma is not rocket science but common sense and, I was practicing at work place with noices. Now I can confidently? say it is six-sigma concepts, I have to mention here?with risks I was ?practicing the concepts at work place?I could able to improve from 20% to 30% ( team contribution)?in my past position .I will drive to achieve 60% and trigger the IT dept for global certifications. Be more organised on the presentation with more attention on the links to other modules in the course . Training was really useful, need to learn more statistics and suggest to keep the project view. Good training and it meets the requirement, the material could be structured well, will be applying in my collection call centre. Very Good training and organization of contents and clarity. Gave insights into Quality and Management. Karthik M, Associate Software Engineer, Accenture, Chennai. The 3 day session by Qualimations was very interesting. This is a new level in thinking and goes beyond quality improvement. Got more information on the process improvement. This support from Qualimations will increase efficiency without wastage. It is very good . Informative and gain knowledge on six sigma. Will surely implement in our project. Current Project which am working,Web based Application and Mobile application. The course is excellent and very interactive, plan to apply in ticketing systems. The key thing i learnt is \" Understanding the problem is more important than solving the problem \"
This skill is very important and it helps me to map the process and problem solving.It is clear than understanding the problem is more important than solving it. The client requirement understanding and focusing on critical areas is key to this program. Provided good material. Given good explanation on topics. Project topic yet to decide, would do one for mechanical field. This course certainly supports for cost reduction and increases productivity. I came to know about Qualimations from the Net and it was really helpful. Training was good with complete knowledge on the six sigma methods. Over all it was fabulous, \" Too Good\". Before the session i was doing normal methods without a proper structure. This session helps to improve the approach and solve problems effectively. I am planning to apply in SEO and make a structured plan. First of all it is a feel good course, it helped me to think more form the customers view than a developer view. By using the customer specification and how to improve the company margin. Six Sigma helped me to identify and logically solve problems also document properly the problems behind it so that we could improve it. We are trying to reduce the ticket number to reduce the repetition of processes, thereby reducing the workload and saving time. Clear and crisp training, planning to apply in my current process. Training is really good. Staffs are all nice and helpful. Request to provide more IT domain related samples/inputs to get more understanding on the tools. Planning to apply six sigma for the following: Improving administration/operation at statistical level. To understand cost and rework due to too many buffs at each milestone. HR analytic s, to control the attrition and improve the returns followed by cost savings. This course is very good, it teaches how to handle problems.\" Understanding the problem is more important than solving the problem\". The coding style will definitely improve with these methods. Good training, All the faculty were friendly. Going to apply six sigma for my company project which is improving the supplier progress monitoring. Qualimations session focus on defect reduction and how to improve quality. This is a very good course and it helps to understand customers requirements and improve quickly. It will help to apply in all levels of the project development phase, this includes design, coding, testing and delivery. It primarily focuses on customer requirement. Training gave an in-depth understanding of six sigma, lots of ideas and thought process covered in the course. Had a significant 3 days and a complete value for my time. I would be happy to see exercises after every QFD.FMEA. I thoroughly enjoyed the classes and examples were from my line of expertise as well. My views on the software development and the process is changed after this course. I think i can do the next project in a more structured way. This shall be applied from the requirements analysis to teh deployment stage. I shall apply this in my area of specialization and the analytical framework will be critical support for legal as well. I am working as a programmer for the last 4 years and always viewed the problem domain from a programmer point of view. The six sigma course has given me a chance to think from a customers view. The course has taught how quality of products shall be improved using various tools. Excellent session, learnt lots of new problem solving tools and the project summarizes all the learning. The course is very useful for me at this stage, it clearly shows me the path to next quality level that i have to achieve. The approach of this program is very excellent. I will introduce this to all levels including production, design and Quality sections for a start. Really helped me to understand on how to analyze the whole process of each requirement and bring out the right solutions. I would like to apply six sigma at work for workflow reduction. It was handled professionally, friendly staffs and explanations were simple and real time examples. Planning to use house of Quality in my appraisal process. The sessions by was very informative and knowledge rich. It had very clear contextualized examples. The exercises were hands on and interactive. The course was very good. I am able to take back a lot from these sessions. The instructor’s knowledge and skills on the subject area were excellent and he was able to simplify and deliver it at the level of the audience. The materials were good, the presentations and tools made learning easier. Dates : Information will be updated soon!!! Qualimation is a leading membership organization to problem solving in total.